Emma has over 20 years’ experience in Human Resources having worked for global financial services organisations. She is currently a People Director with Aviva and is a Fellow of the Chartered Institute of Personnel & Development. Emma is an openly trans woman, having transitioned in 2009, and she is passionate about raising awareness of trans issues. Emma has spoken at many trans events organized by leading private sector companies. She has been featured in the Financial Times and has written a number of blogs including for the Huffington Post and HR Zone. She was delighted to receive the Positive LGBT Role Model Award at the National Diversity Awards in 2017 and she appeared in the OUTstanding leading LGBT+ top 100 Executives list. Emma also sits on the trans advisory group (called the ‘T squad’) for the start-up LGBT Insurance company, Emerald Life. 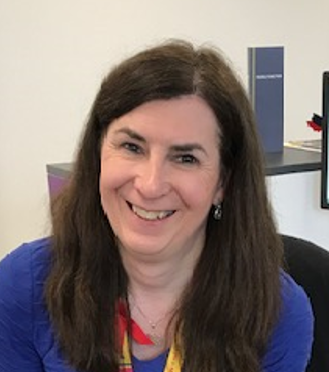 Emma is a Director of Global Butterflies which helps companies create trans* inclusive working environments for both their employees and customers and she co-founded trans*formation, the UK’s largest professional networking organisation for trans* individuals, their friends and colleagues.